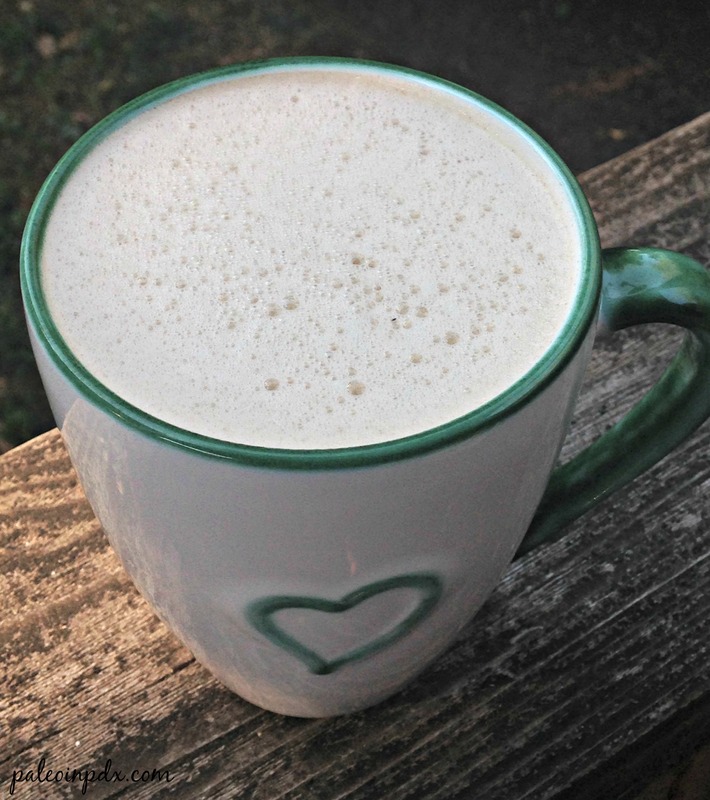 I’m sure most of you are familiar with Bulletproof® Coffee by now. If you haven’t given it a shot yet, I highly recommend it. Honestly, there’s nothing that really compares. It’s straight up incredible and satisfying, and has become a regular part of my morning. Sometimes, I just do Bulletproof® Coffee to get my day started and other times, I have it with a few pieces of bacon or breakfast sausage. It is perfect and I look forward to it every day. I even get excited to go to bed at night, so I can wake up and drink butter coffee! For those of you turning your nose up at the idea, I recommend giving it a try before making up your mind. Plus, do you (or did you used to) add cream to your coffee? Well, remember that butter is just cream that’s been churned anyway. If you do decide to try it, just make sure you BLEND it and don’t try to whisk it instead. Blending is key, otherwise you’re left with an oil slick on top of the cup and no foam. It is not the same! 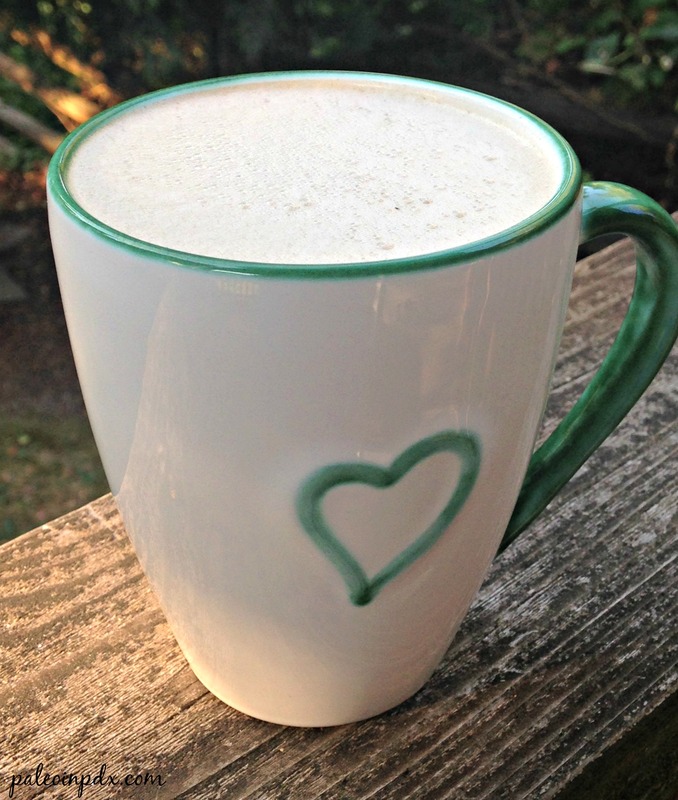 For more info about this great coffee, check out the Bulletproof® website to learn more. Place butter, MCT oil, coconut milk and gelatin powder in bottom of blender (make sure your blender can tolerate hot liquids. I use this high-powered blender.). Add hot coffee and place lid on blender container. Blend on high for 20-30 seconds. Pour into large mug and enjoy. (Note: foam mustaches are not uncommon when drinking). Thank you! I love Rooibos! I have tried this and did like it–butter does make everything better!! I have always used some sweetener in my coffee (Stevia now for many years–I’ll go without for a bit but always resume using it after a couple of months). So, I’m still searching for a brand of coffee I can love without sweetening it up…many just taste bitter to me. Any recommendations or favorites? The beans we buy are local to Portland and we grind them ourselves. We are lucky to have so many good coffee roasters where we live. I definitely recommend buying good quality beans and grinding them yourself (stay away from all the commercial stuff). We usually stick to a medium roast and typically like roasts that have notes of chocolate and/or nuts. I’ve never sweetened mine or felt the need to do so. You could always add extra butter if it’s too bitter and/or add the splash of coconut milk, as I do in mine. Hope that helps!